Not only Greek men can play baseball at a professional level. In fact, the sport has been very popular among Greek women since the 1940’s. Throughout the baseball history, several Greek women have competed in major professional baseball competitions. On our list of famous players in women baseball, it’s worth mentioning Annastasia Batikis, Kay Lionikas, and Vickie Panos. Annastasia Batikis was born March 15, 1927, in Racin, Wisconsin. Her passion for baseball started to manifest when she was in elementary school. While she was in the 3rd grade, she used to watch men playing baseball and she suddenly became interested in the sport. As she got older, Annastasia joined the Recreation Department League and started playing softball. A few years later, she used to attend the games of women baseball team Racine Belles and admire their performance. This determined her to apply for the team while still in her senior year of high school. She was only 18 when she made the cut and got a contract with the club. She played as a centre fielder. During that time, the club Racine Belles was part of the All-American Girls Professional Baseball League. 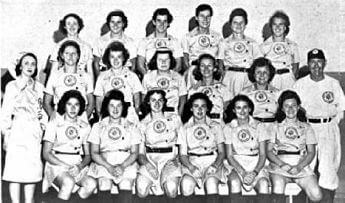 The League was active between 1943 – 1954 and had approximately 600 women baseball players. 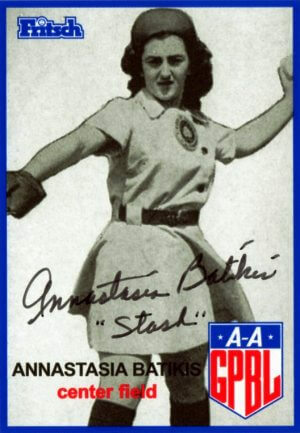 Although she played professional baseball for only one season, as she left the club to attend college, Annastasia Batikis is remembered for being one of the pioneers of professional women baseball. Her name is displayed at the New York’s Baseball Hall of Fame and Museum due to her contribution to the sport and for being a part of All-American Girls Professional Baseball League. 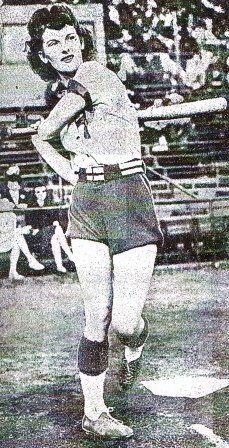 Kay Lionikdas is another famous female baseball player with Greek heritage. Kay was born on November 5, 1923, in New Brunswick, New Jersey. She played as a center fielder during 1949 – 1950 for clubs like Peoria Redwings, Grand Rapids Chicks, and Springfield Sallies. Along with Annastasia Batikis and Kay Lionikdas, Vickie Panos is one of the three descendants of Greek immigrants who played in the All-American Girls Professional Baseball League. She was born on March 20, 1920, in Moose Jaw, Saskatchewan, Canada and she started playing at a professional level in 1944 with the South Bend Blue Sox. The same year, after only one season with the Blue Sox, she joined the Milwaukee Chicks who were the league champions at that time. Due to her talent for baseball, she quickly became one of the team’s top offensive stars. Although she only played for one season, Vickie managed to score 84 runs and had 141 stolen bases in 115 games. Her hit record was of .263 batting average with .367 on-base percentage and .978 fielding average.